Every year, We bring to you the finest Kurma delicacies and Ramadhan hampers to surprise and bring loads of joy for the season. This year is no exception as we present a few new varieties from locally and the Middle Eastern continents. A unique gift for 'Buah Tangan' to please and enjoy or giveaways for Berbuka Puasa. 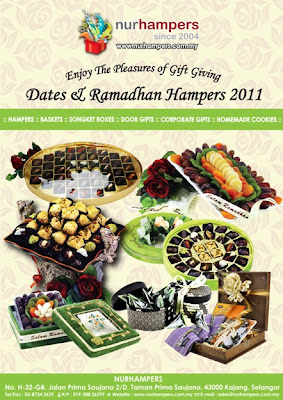 We also can customise your ramadhan giftaways for those with special request.